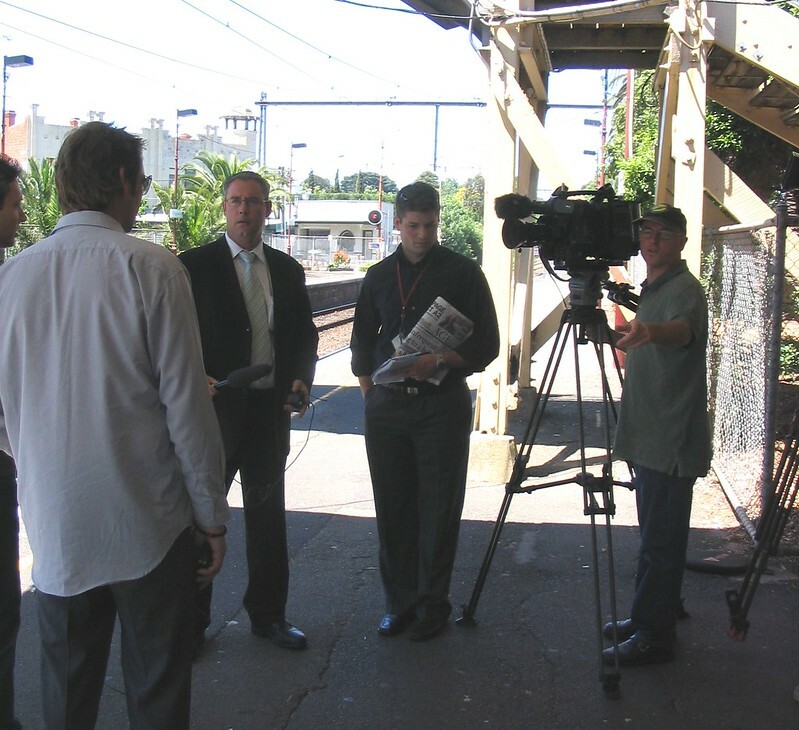 On Saturday 5th November 2005, The Age got the scoop on a big report to be launched by the Metropolitan Transport Forum. 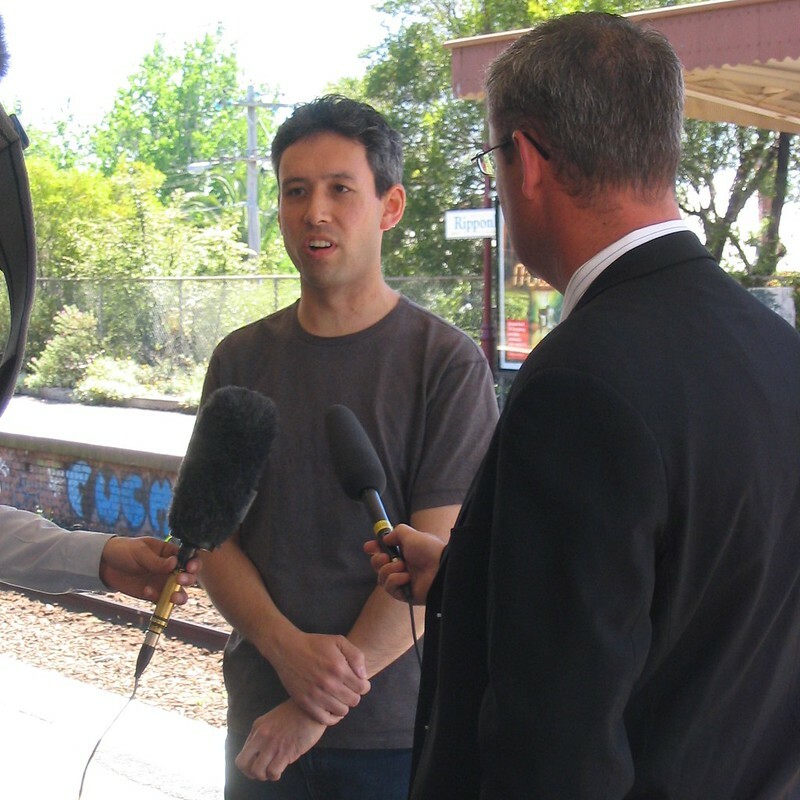 The media was all over it, and caught me at Ripponlea station for a chat. I can see Nick Etchells, who still works for Channel 7. I think the other bloke is Channel 9, but I honestly don’t recall. Hmm, this looks like me, but with less grey hair. As my blog post from the time noted, the report kicked off a series of articles in The Age and other media. But such was the sustained criticism that the government eventually responded saying they’d launch a “Transport And Liveability Statement”, which morphed into the “Meeting Our Transport Challenges” report of May 2006. Among MOTC’s initiatives were the orbital Smartbuses (one didn’t eventuate but most were delivered), Doncaster Area Rapid Transit (DART) upgrades to buses, and the introduction of evening and Sunday bus services on most other bus routes, all welcome but it certainly wasn’t a miracle cure. I might write about MOTC another time — it caused something of a stir. 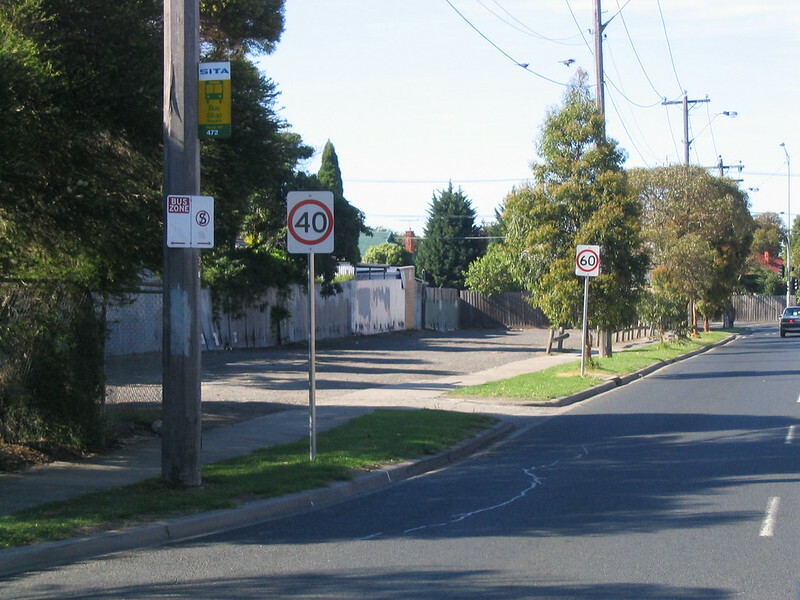 Footscray: speed sign stupidity. At the time I calculated that a vehicle driving at the speed limit would cover the distance between the two signs in 1.8 seconds. 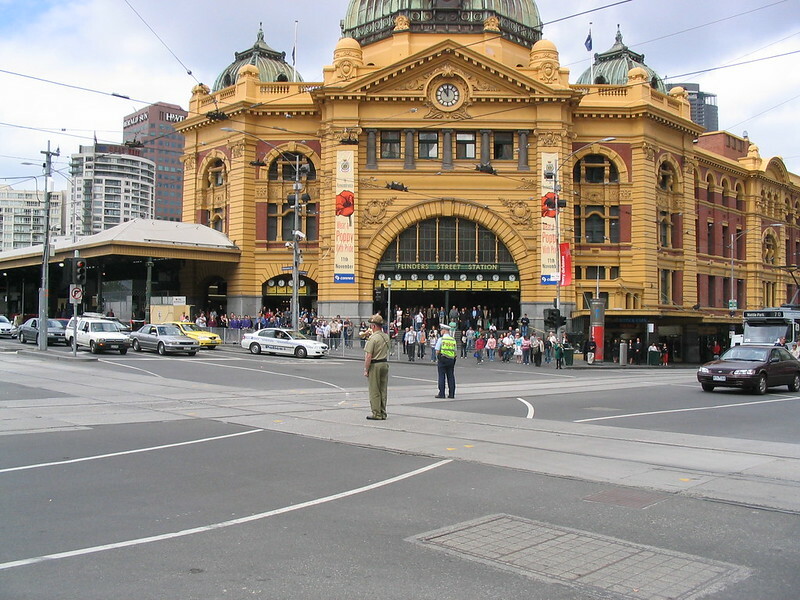 Remembrance Day: Flinders and Swanston Street intersection stopped. Blog post from the time — this still happens at a handful of CBD intersections at 11am on 11/11, though I’ve been unable to find a definitive list of which intersections. 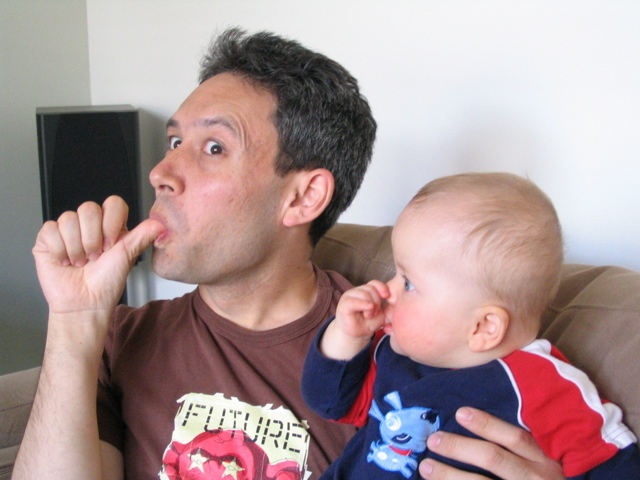 With my nephew Leo, then just a few months old. A train hauled by a K-class steam engine runs express through Bentleigh. For a time, Steamrail did regular Caulfield to Mordialloc shuttles (stopping only at Mckinnon) as part of the Mckinnon festival. Ten year’s on, you look a little smarter at a media interview these days. Older and wiser maybe, too? It was a weekend… I’d still be in a t-shirt on a warm weekend these days. Older certainly… wiser? Hope so!